George Delgado, the San Diego doctor who is still trying to make abortion reversal a thing, just had a study withdrawn for ethical issues. In May, Jezebel posted about a Delgado study published in the journal Issues in Law and Medicine, looking at 754 patients between 2012 to 2016 who called a U.S. hotline after taking just mifepristone. (Mifepristone is the first drug in the two-step medical abortion process, which then includes misoprostol.) 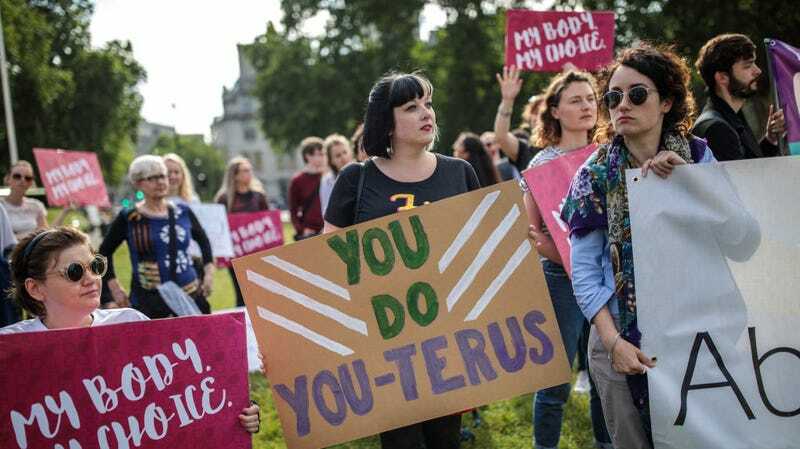 Women were then referred to doctors who gave them a hormone called progesterone, which prepares the uterine tissue for pregnancy, according to the Washington Post’s coverage of the study. Over 500 patients took progesterone and 257 of them went on to have live births, leaving Delgado to conclude that you can use progesterone to stop medical abortions safely, despite the fact that these women did not correctly complete their abortions anyway since it’s a two-step process. Unsurprisingly, this study has just been withdrawn, Buzzfeed News reports, after the University of San Diego launched an investigation because two co-authors of the paper were employed by the university. Additionally, there was “ambiguous” wording regarding the involvement of the school’s ethics board and the implication that they reviewed and approved the entire study, which they did not. While Delgado tells Buzzfeed the withdrawal is just for “technical problems,” professor Daniel Grossman, who works in the Department of Obstetrics, Gynecology, and Reproductive Sciences at the University of California, San Francisco, tells the site that there may actually be issues in getting the consent of the patients. “It is unclear if patients underwent informed consent and if they knew the treatment they received was experimental,” he told Buzzfeed. Can someone please stop throwing money at George Delgado and his dangerously half-assed “abortion reversal” studies? Thanks! Hospital Reverses Abortions For Women Convinced By "Sidewalk Counselors"